In this book, an evidence-based approach to dietary and lifestyle medicine is taken. An approach known as “epidemiology-based health promotion,” which compiles and presents available evidence that could help physicians, other healthcare professionals and members of the general public make wiser decision about healthcare, is also explored. 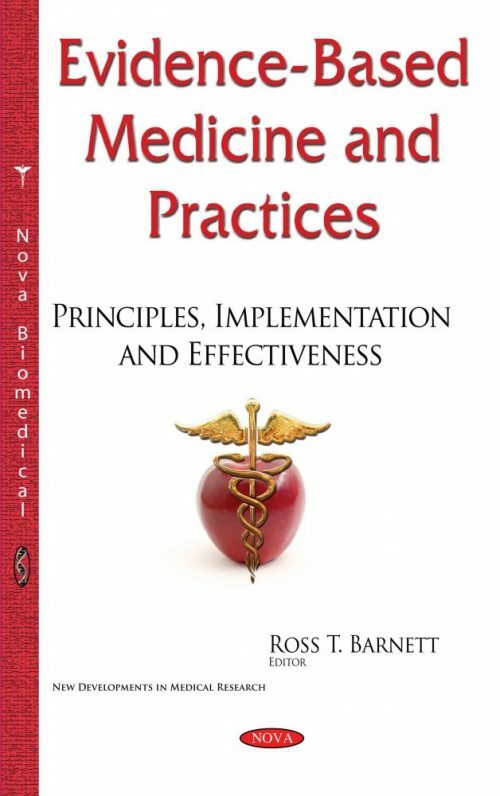 Within this book, evidence-based practice (EBP) literature is reviewed, including literature on leadership and ethics in the field of internal medicine (compared to surgery) and how they affect the adoption of evidence-based medicine (EBM). A four-stage iterative model to identify procedures for implementing evidence based practices into applied settings is reviewed.